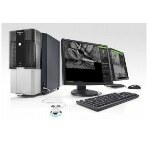 The Phenom XL scanning electron microscope (SEM) sets a new benchmark in compact desktop SEM performance. 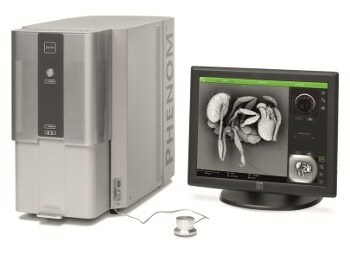 It offers the same ease-of-use and fast time-to-image features of other Phenom systems, and is integrated with a chamber that aids in analyzing large samples of up to 100x 100mm. A proprietary venting and loading mechanism in the system ensures a rapid vent and load cycle and delivers high throughput. 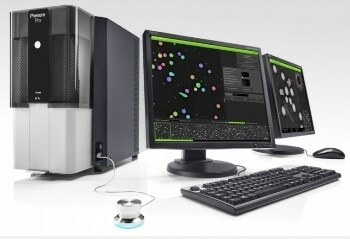 A new, compact motorized stage allows users to scan the entire sample area. 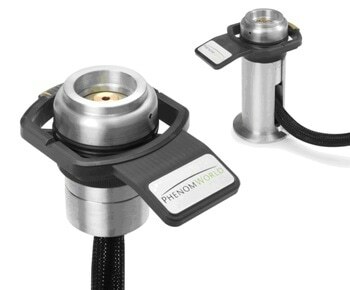 In addition, a single-shot optical navigation camera in the Phenom XL enables users to shift to different spots on the sample at the click of a button, all in a matter of seconds. 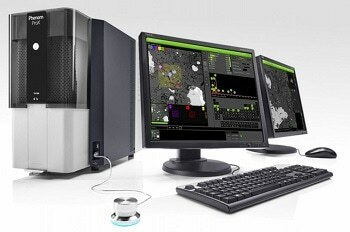 The Phenom XL is a desktop SEM that can be used in space-constrained areas. 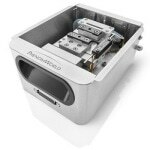 The Phenom appears to be the ideal solution for monitoring pharmaceutical products in the micrometer and millimetre size range in less than a few minutes. 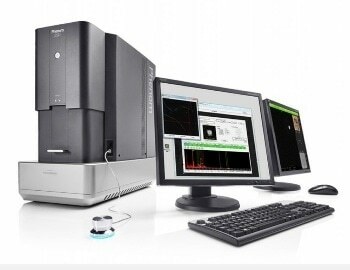 The purchase of the Phenom desktop scanning electron microscope has improved our work flow and research programs. The Department of Nonwoven Textiles Nanoscience Centre, Technical University of Liberec, Czech Republic offers courses on evaluation of nonwovens, production technology, and new methods in technical textiles and nonwoven textile production. Research activities include analysis and testing of the structure of nonwoven textiles, including electrospinning products containing nanofibres. These fibers have diameters of the order of 100nm and can be created by interfacial polymerization and electrospinning procedures. The department has more than four decades of experience with other nonwoven technologies and over six years of experience with electrospinning. It spins a number of polymeric materials and melts with different kinds of structures. 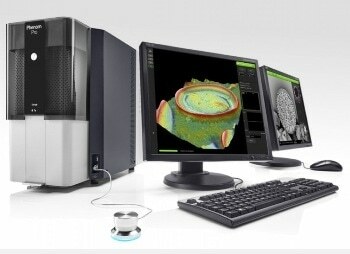 The morphology of these materials is carefully examined using optical and electron microscopic techniques. 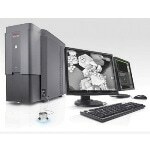 The Phenom™ desktop scanning electron microscope is one of the microscopes used for material analysis. 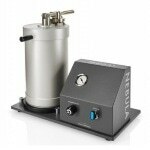 Filtration: it is one of the most essential applications of nanofiber materials. One part of the department’s laboratory is fully equipped to facilitate complete analysis and testing of filtration properties of unique materials. The department also carries out laboratory and pilot-plant production of exclusive materials for property testing. Acoustic applications: High acoustic absorption is an important property of nanofibrous materials, particularly in the low-frequency range of sound waves, in which all other materials are either less effective or fail completely. Nanofibrous materials may be used as acoustic barriers in a wide range of applications. Medical and biological applications: Over the past few years, the use of nanofibrous materials for medical applications has attracted significant attention. Thanks to their special properties, these materials can be utilized in tissue engineering. Coaxial electrospinning is used to develop core-shell fibers for drug delivery applications. 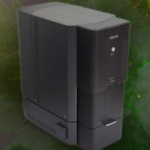 The Phenom™ desktop SEM has significantly improved the work flow and research activities at the Department of Nonwovens. Earlier, the department had to wait for long periods of time to acquire images from an electron microscope. 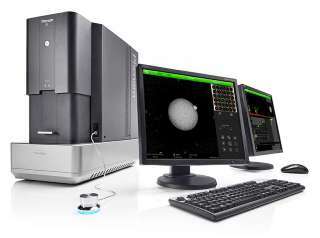 Now, microphotographs can be obtained within a short period of time, similar to the light microscopy technology. 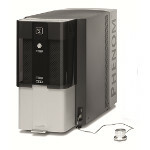 The Phenom SEM’s magnification range is ideal for studying the structure of single fibers as well as nanofiber layers. In addition, the Phenom can be operated easily, allowing students to use it without the need for special training. 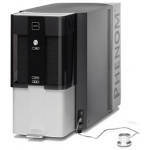 When the Phenom desktop SEM is used along with the Fibermetric™ system, it allows rapid measurement of pore and nanofiber diameters. 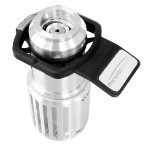 Automatic measurement of these parameters speeds up the work and saves considerable amount of time. 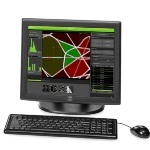 The Fibermetric system is capable of producing frequency diagrams and statistical data of the measured diameters. The quantified values are precise and similar to those achieved from manual measurements using sophisticated image analysis software. 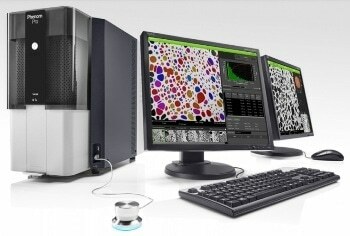 The combination of the Phenom SEM and the Fibermetric system now enables the department to achieve detailed sample data in the same session.